The beauty of sports betting is that it is supported by useful data that help punters make informed decisions. Betting on your favourite team should not only be driven by raw emotions, given that there’s statistical data that can help you choose wisely. The old adage, ‘numbers do not lie’ puts betting on sports into perspective more succinctly. Therefore, every bet should be supported by the best odds, great betting margins as well as the payout potential. Even with all the data at your disposal, you need to be able to understand it in order to have an advantage. 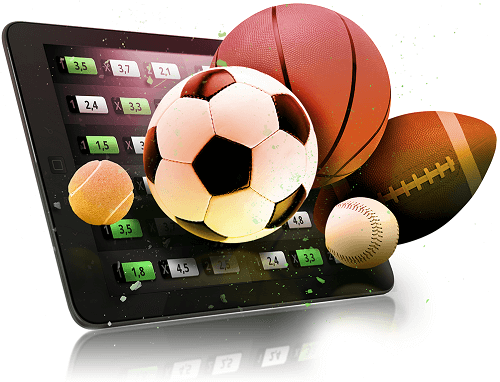 Find out more on the different types of betting lines and sports betting odd in our guide. The primary purpose of betting odds is to indicate the possibility of an outcome The higher the odds, the higher the potential payout. Inversely, if the odds are low, it means that you are more likely to win, but the payout will be low. The second function to estimate the potential payout of a winning bet. These odds change over time, depending on the frequency and the number of people that bet on the specific match. This betting format is widely known as the American Odds Format, typically popular in the United States. These wagering odds appear to use a positive (+) or negative (-) sign to indicate the likelihood of a result. These symbols are supported by numbers that also help players discern which team is pegged to win and which isn’t. Needless to say, the negative symbol identifies the underdog in the bet, while the positive symbol indicates the favorite team. As the name suggests, a decimal number system is used to show which team is pegged as the favorite in the tie. Mostly used by Australian and European bookmakers, decimal odds format is rather simple to calculate. Decimal odds number conveys the number of money punters will receive for predicting the correct result including the initial bet. An example would be if the odds stake is set at 1.5 for every $1, that means that if you bet $100, your potential payout will be $150 including the $100 bet. Fractional betting odds is the preferred format in the United Kingdom. However, it is comparatively trickier to calculate for the betting novice. Typically using factions, the premise is that if the first number in the fraction is higher than the second, the odds are against. The alternative also rings true, that is if the second number is higher than the first, the odds are for. An example of how a fractional odds bet would look is if punters had 8/10, you would win eight units for each unit you wagered. Betting odds become greater or lower based on a number of factors, one of which is related to over/under betting line. This refers to the prediction of the overall score on the result once the game has ended. This means that punters predict the total score of a single team or the collective score of both teams at either halftime or at full time. The over under betting rules differ for each sporting code. Over Under Basketball Bets – these bets will pit NBA teams against one another, with the total score odds based on whether a team will score over or under 100 points for instance. Over Under Betting NFL – oddsmakers advertise NFL football odds prominently on their website to attract punters. These odds feature the combined score of both teams to be either over or under a predetermined number. Other sporting disciplines – America is flooded with different sports that use these betting lines such as baseball, golf, tennis, soccer and many others. There’s a couple of strategies that have proved profitable for a lot of US punters when betting online. These strategies do not guarantee that you will win every time, however, they equip punters with the information to give them the best chance of winning. Do not let your emotional attachment to a team determine your wager. Conduct a background check on the most recent results along with head-to-head results before you place a wager. Context matters. When its postseason, playoff season or friendly games, players play with different intensity and any team can win. Analyse league position, as that can give punters an impression of the mind state of players. In our review of gambling odds, we observed that it is largely dependent on the sport, individual or team betting on games lines as well as the sportsbook in question. The variation will be minimal; however, the underlying idea will remain the same. Punters will come across numbers next to the team or individual pegged to be the favorite or the underdog. Players should remain cautious of the fact that the odds are merely opinions generated by the different betting sites. They are not set in stone. They will change over time, and they should be vigilant of this process. Think you have it all figured out? Put your money where your mouth is and place a bet at any of our recommended betting websites to win.